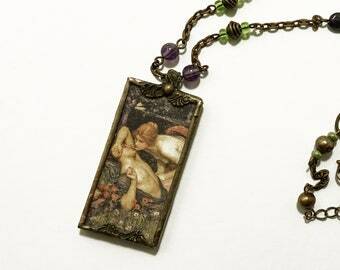 You can request a different glass color or solder color - can be silver, antiqued silver, antiqued copper or black. Gorgeous unique gift! You will receive a similar purple box as shown; clear and purple glass on top with a cast metal dragonfly and purple glass on sides. You may also choose a different color, just ask in the personalization section and I can show you samples (gold textured glass shown is no longer available). 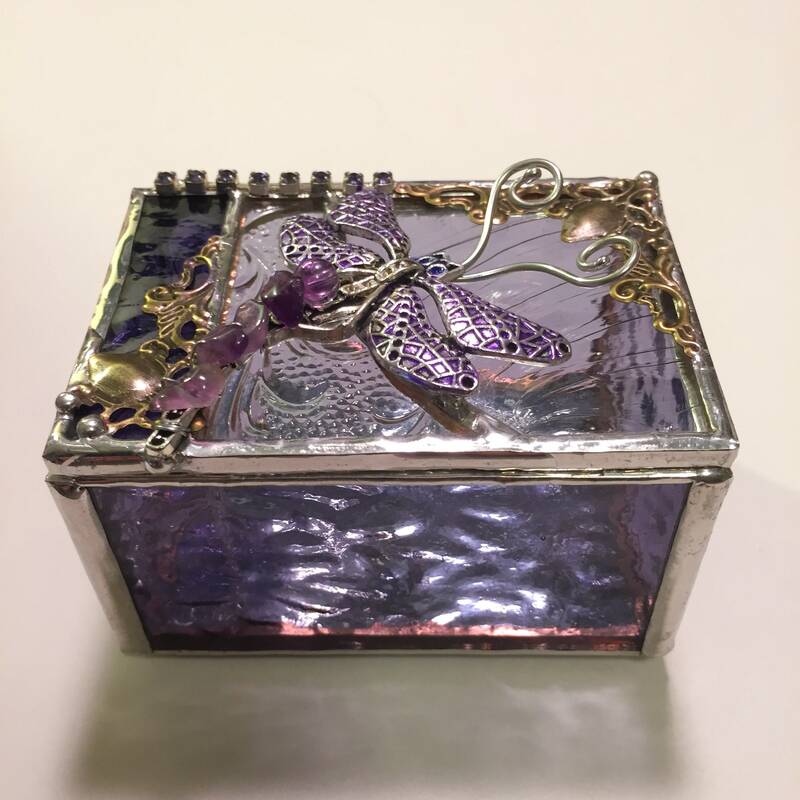 This pretty little jewelry or ring box is the perfect keepsake for a Valentine gift, or for bridesmaids, friends birthday, hostess gift, co-worker leaving gift or member of the family. Use as a ring box near your bathroom or kitchen sink. 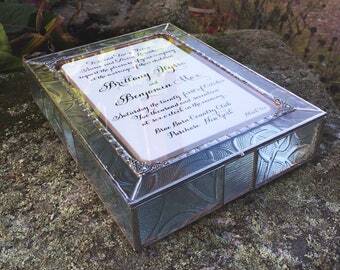 The box is 3" wide x 2" deep x 2" high, perfect to fit on a shelf, sink, nightstand or desk. Will arrive double boxed: this means that you can use the inner cardboard box to gift wrap. Or choose gift wrap option and I will wrap it for you! Inner box for stained glass will be wrapped in holiday/ appropriate themed paper. A ribbon in matching colors and gift card will be attached. The artist is very easy to work with and kept me in the loop the whole process. The box shipped on time and arrived in perfect condition ( she packaged it super well). The box is absolutely beautiful and met all of my expectations! I would order from her again! 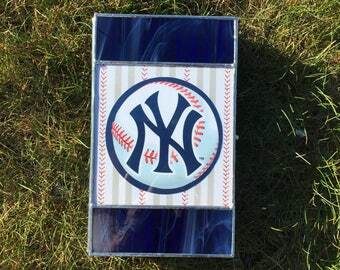 My husband and I love our custom stained glass box. It is a great for holding our wedding guest puzzle. 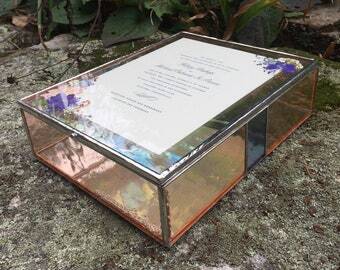 Anna really worked with us to find the glass color that we wanted for the box. I try to give several different images in different lighting so you can get an accurate idea of what it looks like before you buy. If you don't like it for any reason, you may return it for a refund or exchange (buyer pays all shipping costs). 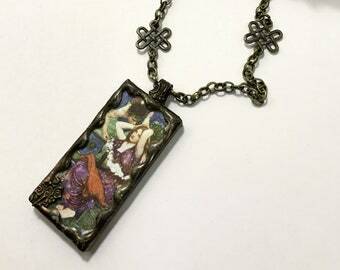 I pack my stained glass items very well - they are double boxed and bubble wrapped. If an item gets broken during shipping I will replace it for you, as long a you contact me within 7 days of receipt. 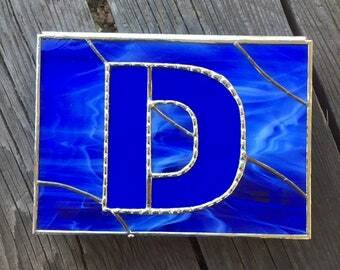 PLEASE NOTE: Stained glass from this store is made in the Tiffany method, using copper foil and solder. Solder used is 63% Tin, 37% Lead, unless it is a jewelry piece, which is made lead-free with a silver bearing solder. Please keep glass and lead out of the reach of children under six!